People afflicted with the disease of addiction may be incapable of understanding that they are in trouble and need help. In some circumstances, it may be necessary for their loved ones to stage an intervention in order to prevent any further destructive consequences. "If you're worried about your loved one, bad things keep happening over and over again and they're not getting better, then it's time to get together and have an intervention," says Heather Hayes, a master's level licensed counselor, a Certified ARISE Interventionist and Certified Intervention Professional (CIP) with over 30 years of experience working in the field of addiction. Hayes spoke with CBS News as part of the #14Days on the Wagon series. So, what is an intervention? The National Council on Alcoholism and Drug Dependence states: an intervention is a professionally directed education process resulting in a face-to-face meeting of family members, friends and/or employer with the person in trouble with alcohol or drugs. Intervention helps the person make the connection between their use of alcohol and drugs and the problems in their life. The goal of intervention is for them to accept help. Hayes says, because of media portrayals sensationalizing interventions, a lot of people assume that it will involve ambushing your loved one. That's not necessarily the case. Hayes explains there are two types of interventions: surprise or invitational. In most cases, the invitational approach is best. "This is when you say to a person, 'we love you, we're worried about you, and we want to talk.'" She says the surprise approach may be needed if the person is a flight risk or if you have tried the invitational approach and failed. Either way, it's a good idea to have a professional involved. Hayes says, "When families come together without professional help, they can end up having a big family blowup and making things worse." Be advised, there are no regulations or licensing required for interventionists. Make sure that you are asking the right questions in order to find someone who is truly qualified to help. What kind of educational background or certification do you have? Can you provide references from other families you've worked with that I can talk to? Hayes is the former president of the Network of Independent Interventionists (NII), an organization that supports, educates, and provides resources to professional independent interventionists. Hayes says the NII database is a good resource for finding a qualified interventionist. Have you been involved in an intervention? 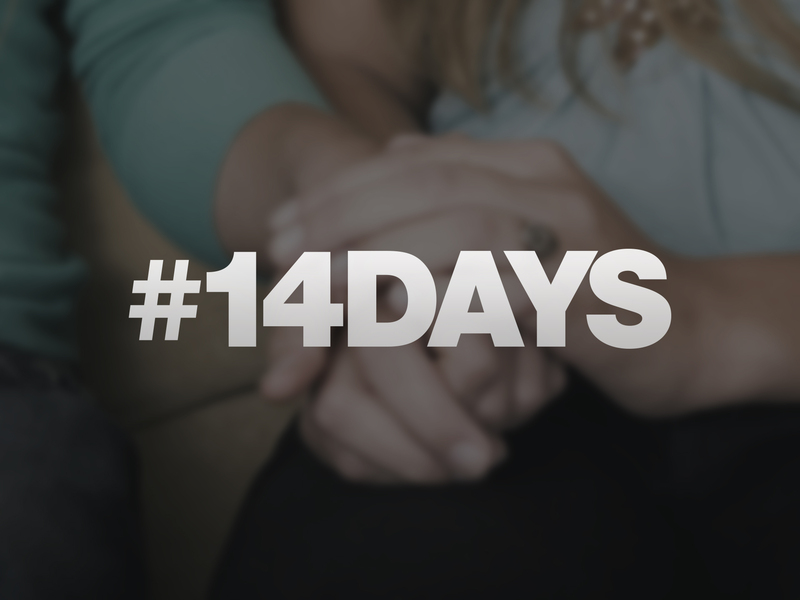 Share your experiences in the comments below or by using the hashtag #14Days. For more on the #14Days challenge, check out these healthy lifestyle tips and stress relief techniques. Also, hear what Dr. Drew said last week about stigma and addiction. And get inspired by Gabrielle Bernstein's take on recovery and miracles.